Miss DE for America and Mrs. DE America are state preliminary pageants for Miss for America and Mrs. America, respectively. 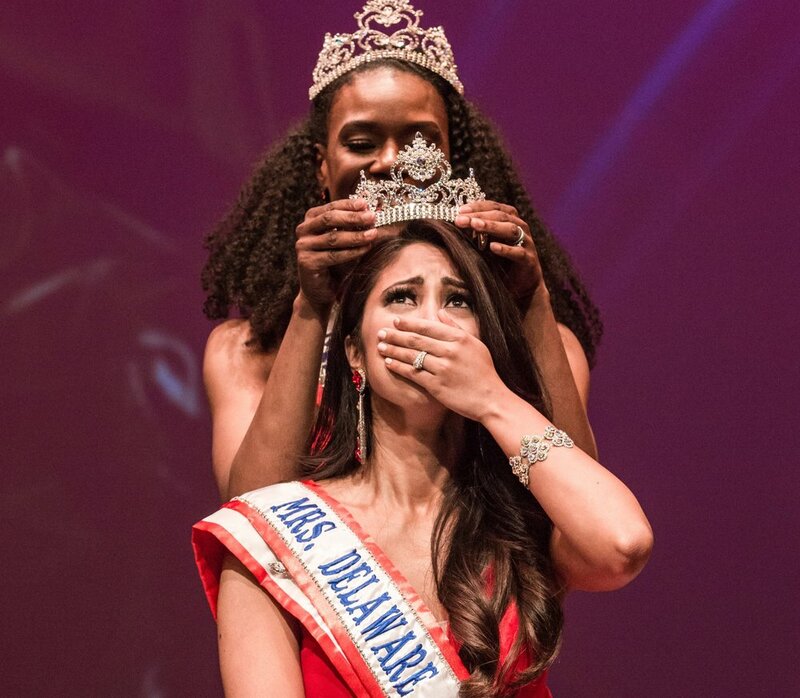 The Miss DE for America and Mrs. DE America publicly recognize women, living in the state of Delaware, who have obtained personal, professional, and community achievements. As official preliminary pageants to Miss for America and Mrs. America, respectively, the pageants welcome women from all ethnic backgrounds to compete in a yearly pageant for the titles. The woman with the highest overall score wins the title of either Miss DE for America or Mrs. Delaware America and travels to the prospective National Pageant. The Miss DE for America and Mrs. DE America are produced by An Officer and Gentlewoman, LLC, a Veteran-owned production company based in Washington, DC area. The company focuses on theatrical productions, television commercials, and television casting nationwide. To learn more about the company visit www.aoagwllc.com.